FEED Projects, home of the FEED bag we so love now has its own website and online store. On it find new versions of the FEED bag including the FEED 100 collapsible tote, $30., which zips into a small pouch for easy storage in your handbag or satchel. 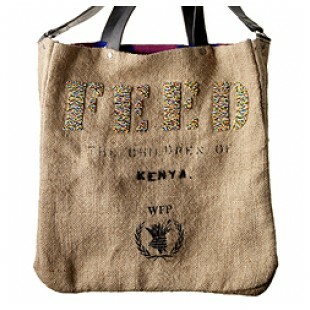 Also check out the hand beaded FEED 2 Kenya bag, $195., an exclusive of Bergdorf Goodman which is created by a coop of women and deaf Kenyans + provides meals for school children. For more information on that particular bag call Bergdorf at: 212-753-7300 or email: personalshopping@bergdorfgoodman.com . We just love it when our gift pick x Gave Twicers have a real story to go along with them. The Bon Iver Charity Shirt is just such a find. 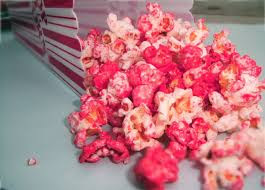 Read about it at Yellow Bird Project and pick up a few at $25.00 each with proceeds being donated to a shelter for women. One of philosophy's latest charity offerings is the She Colors My Day Bubble Bath, $20., with 100% net proceeds going to the Entertainment Industry Foundation's Women's Cancer Research Fund to support the early detection of women's cancers. Beth Nonte Russell has created the fragrance ForeverLily with a portion of proceeds benefiting the Golden Phoenix foundation which aims to end child abandonment. $95.00. As seen in Redbook. Bleach Black Blog finds dolfilms.org African bracelets benefiting and created by women coping with HIV/AIDS in the region. $15. Fashionista covers the Tonic x Alex & Ani Mother Earth bracelet collection benefiting the Tonic Foundation. Take a look at The New Eclectic Sound Experience blogs latest piece, A Gift Of Music, covering how you can bring music into hospitals, nursing homes and extended care facilities! Truly inspiring.